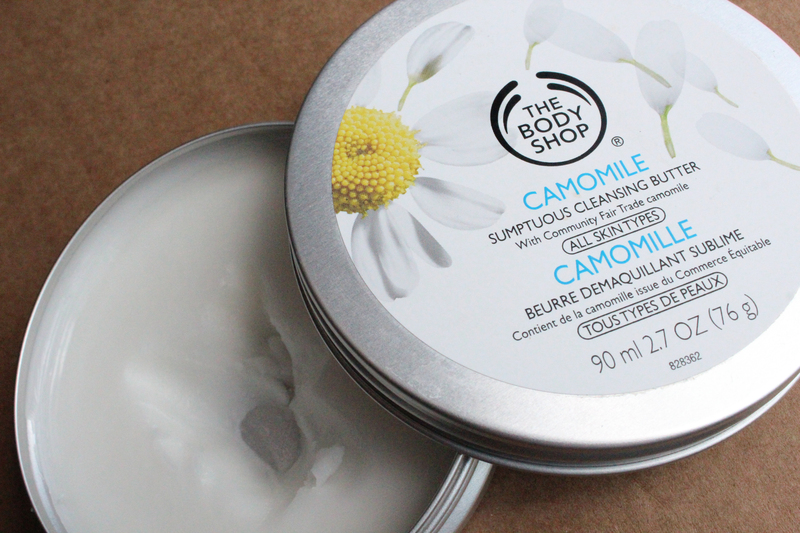 The Body Shop Camomile Cleansing Butter – amandarobots. Cleansing balms are a bit of a big deal in the beauty world, particularly with the increasing popularity of face oils. I hadn’t tried a cleansing balm or butter before this one, but I had certainly tried oils. They’re great because they’re a one-stop-shop for all types of makeup removal, including waterproof mascara (which I use as a first coat). I had never tried The Body Shop skincare, but I had heard good things about the Camomile Cleansing Butter – plus, it’s inexpensive, and for a first go at a type of product I don’t like to spend a ton of money. As it turns out, it is really lovely. The Body Shop describes it as “sumptuous”, which amuses me. I feel like sumptuous is a bit underused because it’s a very bold claim, especially for a cleansing butter. In any case, when I rub it on my face, it turns into an oil, but not a gross oily oil – a very light, pleasant oil. The smell of it really enhances the relaxing, spalike experience. I assume the smell is camomile, but I’m not 100% sure what camomile smells like, so that’s really just a guess. It breaks down makeup beautifully – not a trace of waterproof mascara to be seen afterwards. The only thing I would change about it would be to make it rinse completely clean. It says it’s appropriate for all skin types, but for more acne-prone skin, leaving traces of the oil on there might pose a problem. I remedy this by using a muslin cloth to remove it and/or following with my Clarisonic and usual cleanser, so it isn’t a major issue. Overall, though, it’s a lovely product and I can see myself picking up another one when this one is finished.